Thanks once again to Jo at BookloverBookReviews for hosting the challenge once more this year. 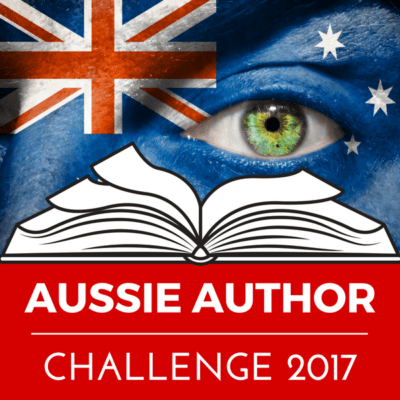 “The Aussie Author Challenge 2017, now in it’s 8th year. Whether you are a patriotic Australian, an aspiring or armchair tourist or simply an international reader wanting to discover some talented new authors and interact with like-minded readers, the Aussie Author Challenge could be for you! The objective of this challenge is to showcase the quality and diversity of the books being produced by Australian authors. This dedicated page here at Booklover Book Reviews will be your one-stop shop for the challenge. What is there to gain from participating in this reading challenge? Extra entries into all book giveaways we host during 2017. A link to every book review you publish and link up below will be featured in the ‘Aussie Author Challenge Update’ section of our Booklover Book Reviews Newsletter (currently ~600 subscribers). Sign-up to receive this newsletter at the top of this page (right sidebar).